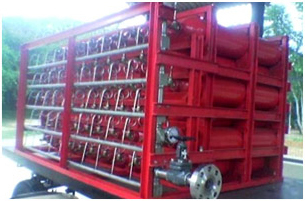 Excel Gas specializes in fabrication of custom built gas cylinder pods as per the requirement. These quads are fabricated as per various standards of the user industry like DIN standard, BS standard, ASTM, DNV 2.7.1. We offer a wide range of Bundles comprise a number of cylinders manifolded together. 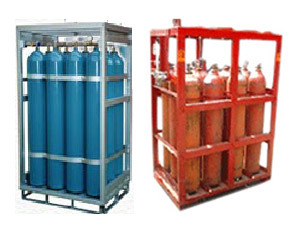 Gas cylinder pods are cylinder bundles stored in fabricated structure and connected together to store and transport bulk quantity of gases. 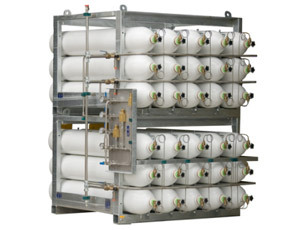 Gas cylinder Pods are also known as gas cylinder quad / cascade / bottle rack / accumulator, etc. They are also called MCPs (manifolded cylinder pallets) or MAN packs in some countries. They have either single or dual outlets and can comprise either pure or mixed gases. These packs provide an uninterrupted supply of gas and can be transported by a fork-lift truck.